Your garden will be brought up to new heights with this free plan for a garden trellis. Make a section of blank wall into a focal point by using lattice fencing and 2 x 4’s. The choice of cedar will cost more, but will make up for the cost with a more visual appealing end product. 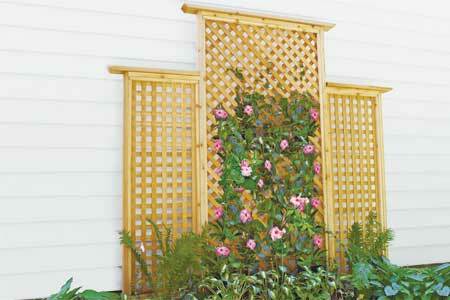 Keep your climbing plants from damaging your siding with this trellis. To get started on this project today click the link below. A terrific plan that will add beauty for years to come. Cost when using Cedar is high.